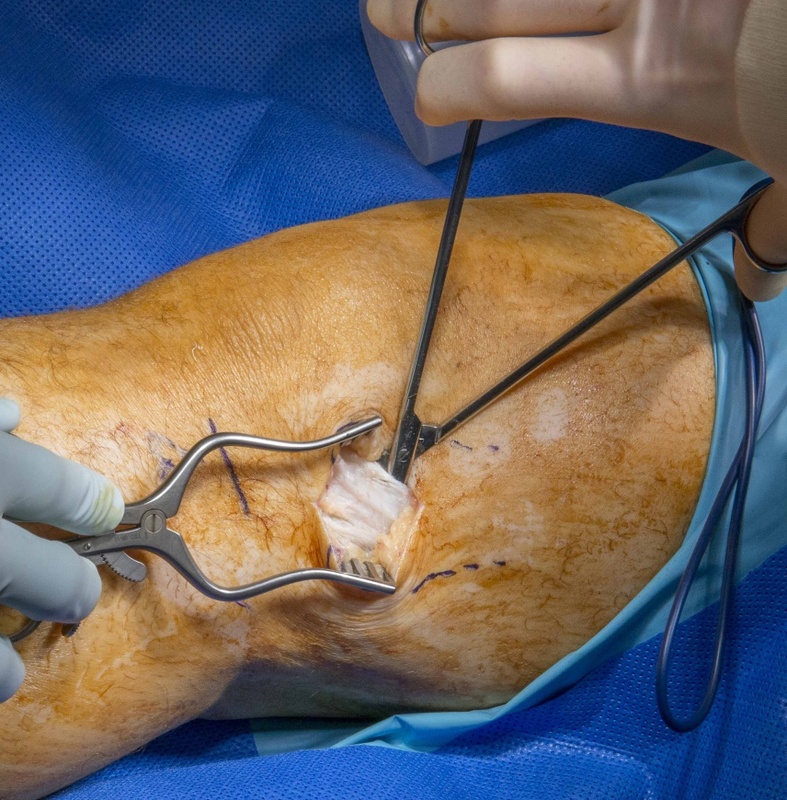 Learn the Iliotibial band lengthening (for ITB friction syndrome) surgical technique with step by step instructions on OrthOracle. Our e-learning platform contains high resolution images and a certified CME of the Iliotibial band lengthening (for ITB friction syndrome) surgical procedure. This is a description of the surgical technique for iliotibial band (ITB) lengthening and bursa excision for recalcitrant ITB friction syndrome. The technique shown is in a young and very physically active man . Iliotibial band friction syndrome is an overuse injury often experienced by runners and presents with lateral sided knee pain. Surgery is reserved for recalcitrant cases that do not improve with rest, physiotherapy, alignment correction and anti-inflammatory medication. Well over 90% of cases of iliotibial band friction pain will settle with conservative treatment over 6 months. All patients should have a trial of specific physiotherapy, anti-inflammatory medication and a diagnostic local anaesthetic / steroid injection. Failure of the above measures after 6 months may strengthen the argument for surgery. The patient however must accept that the success of surgery is only around 75%. Although it is low risk there have been reports of weak abduction with overlengthening of the ITB. Iliotibial band friction syndrome is often a diagnosis of exclusion with investigations being normal.